There is an increasing expectation that government regulatory agencies integrate local or traditional knowledge with “scientific” knowledge in a number of resource areas. This is partly due to recognition that such knowledge can contribute to the conservation of biodiversity, rare species, protected areas, ecological processes, and to sustainable resource use in general. The incorporation of traditional knowledge into regulatory frameworks may also reflect a widespread concern regarding the social and economic sustainability of natural resource based livelihoods throughout the world. The term Inuit Qaujimajatuqangit refers to Inuit “Traditional Knowledge” while Inuit Qaujimaningit refers to Inuit Traditional Knowledge as well as Inuit epistemology without reference to temporality. 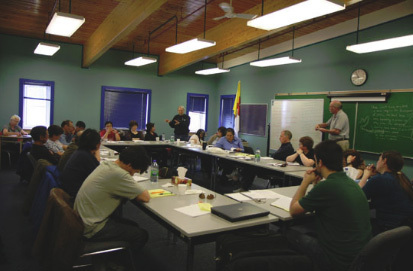 Within its documents and decisions, when the NIRB refers to traditional knowledge and Inuit Qaujimaningit, it is meant to encompass local and community based knowledge, ecological knowledge (both traditional and contemporary), which is rooted in the daily life of Inuit people, and has an important contribution to make to an environmental assessment. 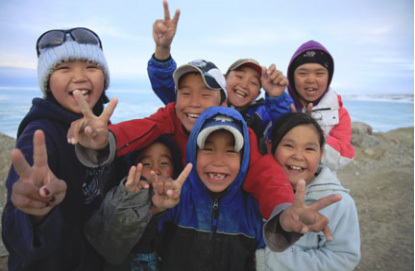 The NIRB requires project proponents to not only incorporate traditional knowledge into the baseline collection and methodologies of resource management, but further outline where management strategies, mitigation and monitoring plans, and/or operational considerations employ values of Inuit Qaujimajatuqangit. Traditional knowledge can be obtained with the cooperation of other concerned parties. Peer-referenced, systematic identification of local traditional knowledge experts assures that those considered most knowledgeable within either the local community, social group, or livelihood fraternity will be revealed and potentially included in work dedicated to documenting the local ecological knowledge system. Project proponents are expected to incorporate into their Environmental Impact Statements the traditional knowledge to which they have access or the traditional knowledge that they may reasonably be expected to acquire through appropriate due diligence, in keeping with appropriate ethical standards and without breaching obligations of confidentiality.